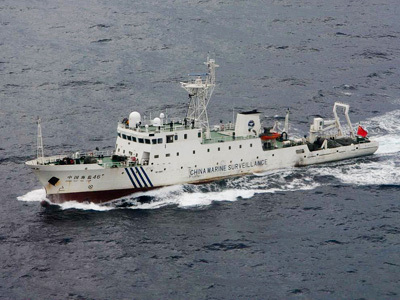 Taiwan recently entered a mounting dispute over islands in the East China Sea by sending dozens of fishing boats to the region. Analysts fear these tiny, uninhabited islands could become the flashpoint for a full-fledged international conflict. The islands at the center of the dispute are a small archipelago off the coast of Taiwan, claimed by China, Japan, and Taiwan itself. 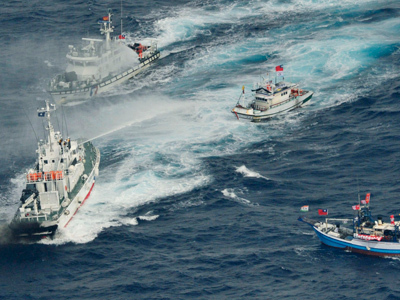 They are dubbed the Senkaku in Japan, the Diaoyu in China and the Tiaoyutai in Taiwan. 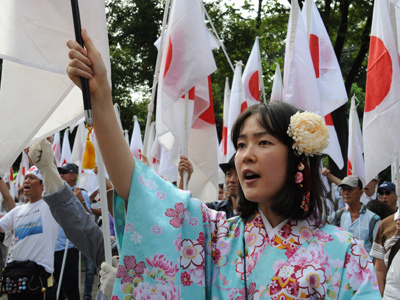 Japan annexed the islands from China in 1895 and has controlled them ever since, except when the country was administered by the US from 1945 to 1972. The waters surrounding the islands are rich fishing grounds, and a 1968 geological survey discovered possible oil and gas reserves in the area. 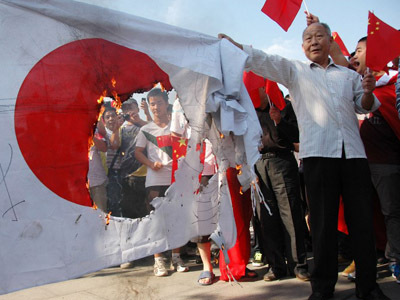 Tokyo announced on September 5 that it was purchasing the islands from their Japanese private owner, and a whirlwind of violent protest ensued across China. Amid the mounting tensions, Beijing announced on Monday plans to deploy unmanned drones to conduct marine surveillance of the area surrounding the disputed islands by 2015. 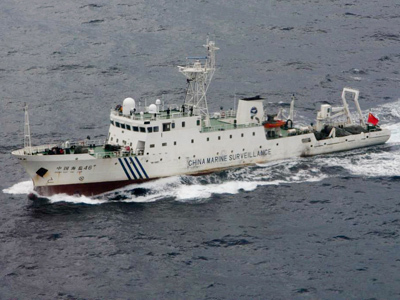 Three Chinese patrol vessels remain in the seas near the uninhabited archipelago, and have briefly entered waters which Tokyo considers Japanese territory. Taiwan then entered the dispute on Monday when it sent a flotilla of 40 fishing boats to the islands in a bid to reassert the country’s fishing rights in the region. 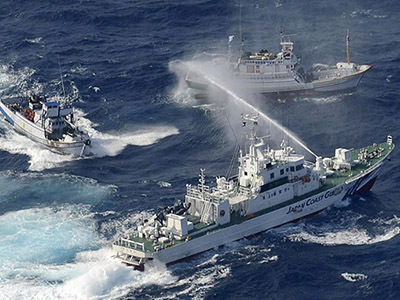 The Japanese Coast Guard used water cannons to disperse the vessels. Dr. Joseph Gerson, an expert in Asia-Pacific affairs and the Programs Director at the American Friends Service Committee, argued that these seemingly innocuous islands actually possess a surprising strategic value. China does not recognize Taiwan’s government, and considers the nation a renegade province of the Chinese mainland. If China attempted to seize control of Taiwan in an armed conflict, the nearby Senkaku islands could serve as a staging ground for the US and Japanese forces that would rush to Taiwan’s defense. In an armed conflict with Japan over the islands, China would likewise risk US military intervention. Under the provisions of Article 5, the US is obligated to come to Japan’s defense if it is attacked, and has steadily increased its military presence and influence in the area. 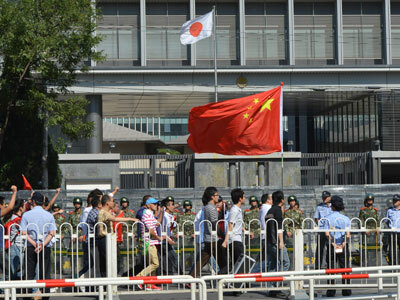 China and Japan cooled their rhetoric after last week’s tensions, and China sent a delegation to Japan to negotiate the issue. Japanese Prime Minister Yoshihiko Noda reportedly said that he “underestimated” China’s resolve to oppose Japan’s bid for control of the islands. China, Japan, Taiwan and the US are heavily invested in trade with each other. 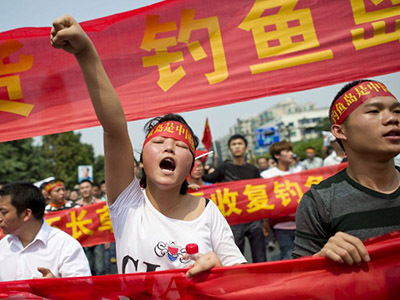 Several Japanese factories were closed in China last week over violent anti-Japanese demonstrations, marking a definite fraying of economic relations between the two countries. “They’re both competitors and partners in trade,” Dr. Gerson said. “My sense is the situation has calmed after being very dangerous last week, but that doesn’t mean it can’t flare up at any time that it meets the interest of political leaders seeking to manipulate the situation,” Dr. Gerson said.